Home / Blog / Unexplained shoulder pain? Have you considered all the neural causes? Unexplained shoulder pain? Have you considered all the neural causes? Shoulder pain is common and it’s tricky to treat. Often shoulder problems persist many months before improving. sometimes this pain will persist. Pain can focus in several different sites around the shoulder complex. Common places for it to occur are in the upper outer arm where the deltoid muscle is or across the top of the shoulder where the upper trapezius muscle is. Pain is also commonly felt between the shoulders blades at the back of the shoulder or running down the front of the upper arm where the biceps tendon is. 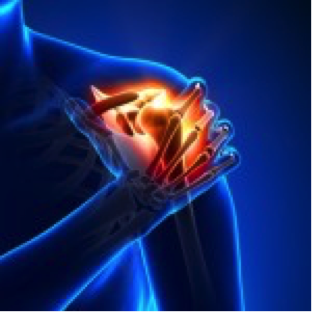 What often makes shoulder pain hard to diagnose is that it is often felt as a non-specific vague pain around an area of he shoulder and is not often point specific of easy to target. Nerves are an uncommon but often overlooked cause of shoulder problems and pain. it is often felt that pain from nerves has to include burning pain, pins and needles feelings or numbness. Although this is often the case it is not 100% accurate and sometimes only pain can be the symptoms a patient experiences to indicate a problem with a nerve. We gave an overview of nerve anatomy in our previous blog several months ago titled: ‘Basic Anatomy: Nerves’ (might be good to add a link here). What are the important nerves around the shoulder? 1) Auxillary Nerve: The Auxillary nerve branches off of the posterior cord of the brachial plexus. This is the network system of nerves that comes from the spinal cord towards the neck region and ultimately supplies all the nerves to the arms. This particular nerve supplies the skin sensation to a patch of skin just at the top of the upper arm, it is often referred to as the Regimental Badge area, as it is where an army officers regimental badge would sit on his uniform and helps people identify where we mean. This area of symptoms is often diagnosed as rotator cuff problems or referred neck pain and so treatment is not targeted accurately. The auxillary nerve can be injured when people dislocate their shoulder. This is because it gets stretched when the dislocation occurs as the nerve passes across the front of the shoulder joint. This injury will already be very painful in itself due to the other tissues injured but if pain persists then it can sometimes be due to problems with this nerve. particularly if numbness or pain is over this regimental badge area and also if the muscle that this nerve supplies continues to be weak. This is the deltoid muscle which lifts the arm out to the side and front. it is important that this nerve is fully evaluated if you have persistent regimental badge pain or numbness. 2) Long thoracic nerve: Another of the brachial plexus nerves, the long thoracic nerve follows a winding path down the back of the shoulder to the serratus anterior muscle that it supplies. This nerve does not often cause as many problems with the sensation along its course and more often what is seen is persistent weakness in the lower inner border of the shoulder blade seen as a ‘winging’ shoulder blade. If pain is felt it is felt as a burning pain under the shoulder blade or mid back area that cannot be alleviated easily. This area of symptoms is often diagnosed as thoracic spine problems or postural problems and so treatment is not targeted accurately. Testing of the serratus anterior muscle is important to look for weakness or problems and a clear history taking to analyse if a force has been put through this nerve with a movement such as a pulling force through the arm or a hit to the back ribs with the arm outstretched. This diagnosis can then be made and the appropriate treatment delivered. 3) Suprascapular nerve: The suprascapular nerve supplies the main shoulder joint and also the acromioclavicular joint (the joint between the collar bone and the shoulder). This means that pain that is felt over the top of the shoulder and tip of the shoulder could be due a problem with the suprascapula nerve. This area of symptoms is often diagnosed as a rotator cuff problem or osteoarthritis of the acromioclavicular or shoulder joint and so treatment is not targeted accurately as nerve problems need a different course of action. This nerve supplies two of the rotator cuff muscles that form an important unit around the main shoulder joint: supraspinatus and infraspinatus. These muscles provide rotation movements to the shoulder joint. Often this lack of difficulty with the rotation movements is seen but mis-diagnosed as a problem with the muscle itself rather than the nerve that supplies it. It is always important that the nerve to the muscle is fully evaluated as well as the muscle. These three nerves can all cause shoulder pain and problems. Assessing them to ensure the correct diagnosis is reached is vital as often they are overlooked in lieu of more common problems that are easier to diagnose. If your shoulder pain has been persistent or is not responding to the current plan, consider looking into the nerves.